At Detroit Concrete Leveling, we love blowing people’s minds. If you’ve never heard about mudjacking or concrete leveling, it’s extremely fun to not only share our knowledge and information, but to also show our customers just how great your sunken concrete can look one we’ve performed our services. At Detroit Concrete Leveling, we want to tell you everything you need to know about repairing sunken concrete. First of all, it’s important to understand what concrete leveling actually is. Concrete slabs can sometimes have the tendency to settle in the ground and become uneven. We see this on sidewalks, driveways, pool decks and just about anywhere that concrete is present. There are many reasons why concrete can become uneven, but the best news is that all of these issues are fixable with concrete leveling. Also known as mudjacking or slab jacking, concrete leveling brings your sunken concrete back to its original surface and keeps it there. It improves your curb appeal and makes your concrete area much less hazardous. One of the greatest benefits of repairing your sunken concrete is how much money you can save. At Detroit Concrete Leveling, we have done the math. 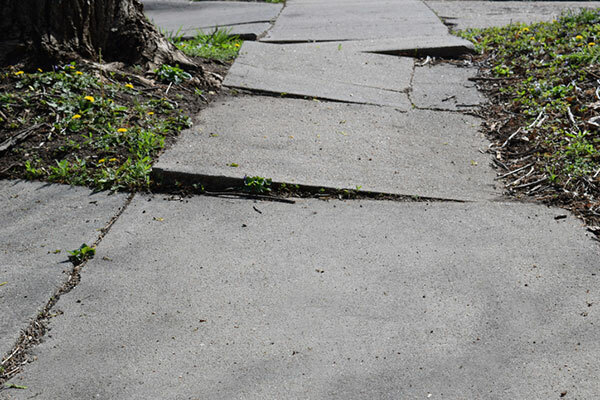 Our customers can save up to ⅓ of the cost it takes to replace the concrete versus repairing it. We do this by using state-of-the-art techniques that focus on repairing the foundation underneath, keeping costs down, and keeping your concrete durable for the long haul. Any time people think about concrete, most people tend to remember how much time it took for it to be ready for use. With concrete leveling, most jobs only take a few hours to complete. In fact, you can walk and drive your car on the repaired concrete in as little as 24 hours. When you rip up concrete and replace the entire area that has become uneven, all of that mess goes into a landfill and can be extremely costly as there is a often dumping charge for disposal. With concrete leveling, nothing is wasted and the entire process is historically known for being extremely environmentally friendly. At Detroit Concrete Leveling, we go a step further. Here, we only use 100% limestone to fill and raise your concrete to its original standard. This makes the level of your concrete more permanent and keeps it completely environmentally friendly as well. Want to know more about repairing sunken concrete and the great benefits of using Detroit Concrete Leveling? Give us a call today at (866) 472-9033.